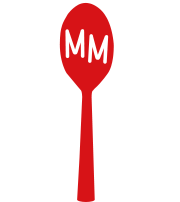 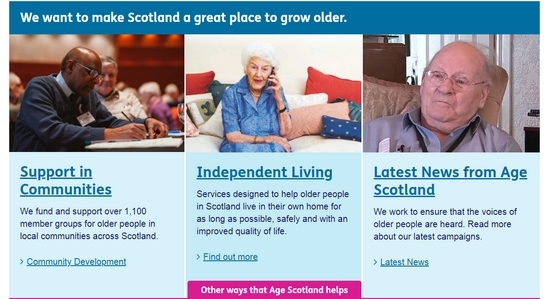 Charity representing and supporting the rights and interests of older people in Scotland. 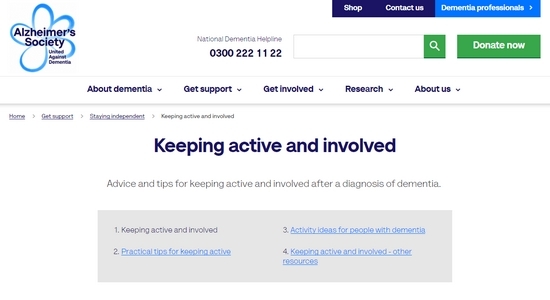 Advice and tips for keeping active and involved after a diagnosis of dementia. 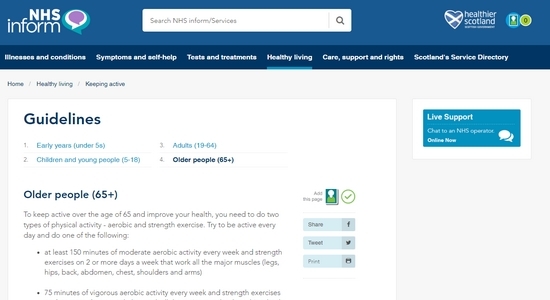 Physical activity guidelines for older adults. 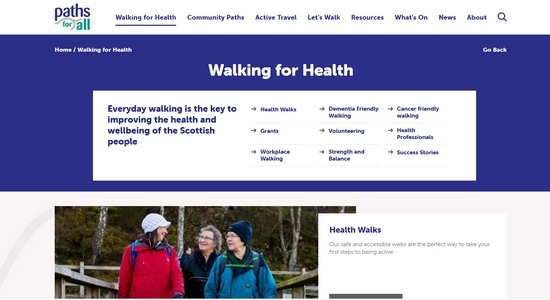 Find a health walk project in your area. 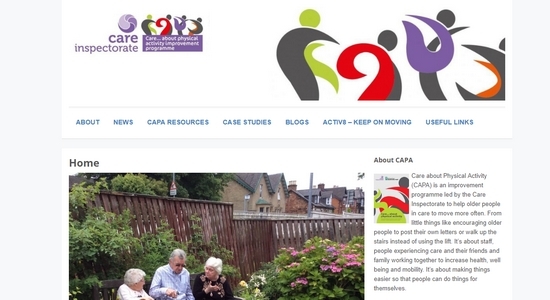 Programme led by the Care Inspectorate to help older people in care to move more often.